From the time of order to delivery, the whole process was efficient. My mom’s dress had beautiful details and very elegant looking. très jolie robe ;ravie de la qualité de la mousseline de soie et des finitions parfaites. délai de livraison - respecté et raisonnable, robe conforme au descriptif, très bien faite et agréablement surprise par la qualité des tissus. First, I was very pleased with the variety JJ's House had to offer. I just couldn't find what I wanted in the major box stores or even the local bridal shops. And, the dress reached me very quickly. Regarding my build, I'm 5'8" and about 155lbs. Smaller in the shoulder area and wider in the hips. While I had the option for having the dress custom-made based on my measurements, I felt that the size 10 US would fit appropriately based on other dresses of similar style I tried on in our local stores. As I expected, the top at my shoulders was more loose than I like and the area at my hips was too tight. But, this is typical for me when buying standard sizes. 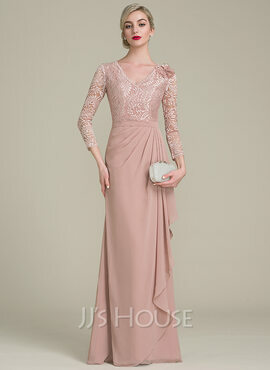 Also, the lace sleeves were more roomy than the photos of the model depicted. But, better to have them too loose than too tight. 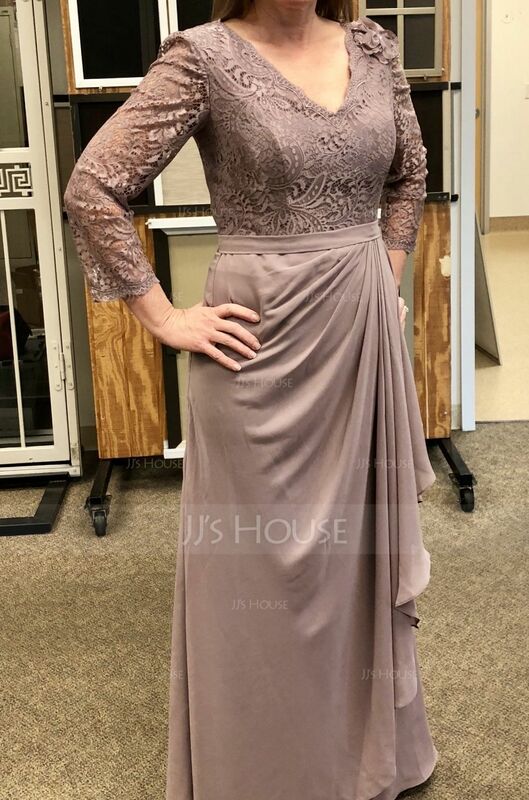 By no fault of JJ's House, these three areas were rectified with a visit to a tailor and the dress fits to my desired end result. For reference, I have posted photos of the un-tailored dress (I'm at work in the photos, by the way...I couldn't wait to try it on!) The color is Dusk. I would definitely use JJ's House for future formal events. I'm am very satisfied with the experience and the product. one of the prettiest dresses I ever seen. I'm soo in love with it. 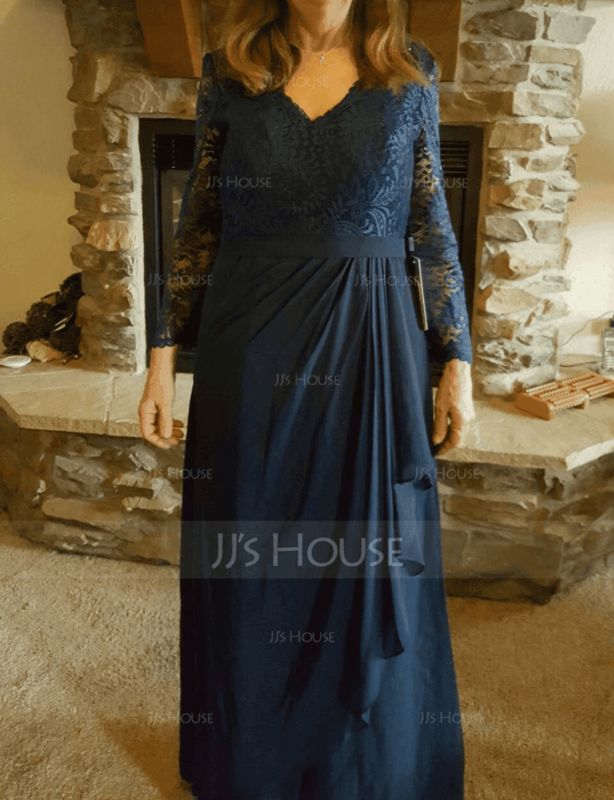 I ordered this dress for my mother in law for my wedding. We chose custom measurements and it turned out perfect. It fits her just the way she wanted.